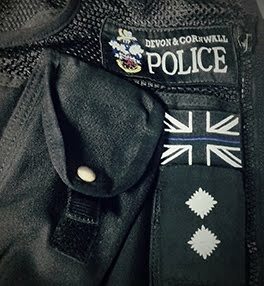 Inspector blogging: Sometimes I love this job! Sometimes I love this job! Talk about a varied job. In a single shift, whilst I have been sat at my comfy desk bravely picking my way through the mysteries and perils of Excel spreadsheets (who knew COUNTIF could do that!) and Power Point Presentations, my colleagues have been calming angry motorists, investigating sexual offences, interviewing bullies who have threatened their neighbours, searching for missing people and, well just being the police. And when we are just being the police we get up to all sorts of stuff. I really wanted to tell you about some of the stuff I have been neglecting to share with the fans of this blog, both of you. (Thanks Dad). So armed with a cheap plastic pen and a bunch of sticky notes (sadly not Post-it notes, but a non branded generic sticky") I interrupted those colleagues I could find in the station to find out what interesting stuff they had been dealing with. It turns out it was this lot. ﻿I don't mean to suggest everyone had been dealing with snakes. Just two of them. Two officers that is, and three incidents each with their own snake. The first officer was on foot patrol when he saw a small crowd blocking traffic on what is a pretty busy thoroughfare. As he approached he was saw a "four foot long red and white snake curled up in the middle of the road" and was immediately elected by the crowd as snake catcher in chief. As he put it, "It must have been my snake catcher uniform that gave it away". The said officer tried to drag the snake out of the road by the tail. Apparently it tried to bite him. In the end a local "snake enthusiast" came to the rescue by wrapping the said snake around his arm and promising to look after the snake until it's true home was discovered. I don't know if the snake is still there, or if wrapping strange snakes around your arm is a common practice amongst snake enthusiasts. It certainly is not amongst police officers. The other officer went to two serpent related incidents in the same week, totally unrelated incidents too. 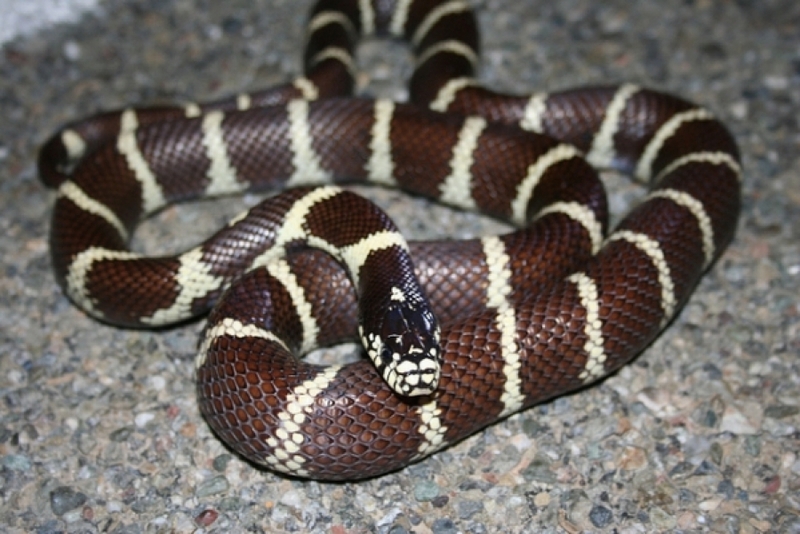 The first was to a California King snake in the garden of a house on the outskirts of a small market town. 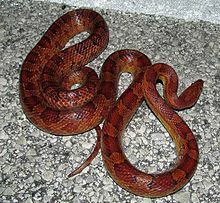 California King is a great sounding name for a very snaky looking snake of unknown provinence, especially one that had wrapped itself around a lady's flower pot. It didn't look at all friendly so the lady did the obvious thing. Again, the best snake catcher the lady could think of was the police. And it was just a couple of days after that the same officer was called upon to exercise his snake catching skills once more. This time it was to catch a Corn Snake. I really don't know, or want to know much about Corn Snakes. Having had a very brief peek at Wikipedia they look like the sort of animal people should avoid, unless you are Bear Grylls in which case they would probably make a handy mid morning snack. Anyway, my mental image of the Great Corn Snake Chase is set to the theme tune from Benny Hill and involves a single file, police lead team of intrepid locals snaking through the village after the snake. Sadly the reality was less amusing and the officer happened to have a dog pole (the sort that allows you to keep outside of biting range whilst placing a rope loop around the dog's neck) which did the job just fine. I'll keep them for another time. PS - please take care when driving﻿, be kind and leave other's stuff alone. You're welcome. Sorry it took a while to reply. I think that it will be great if you have no doubts about your work. That's why I advise you online jobs to find your fav! Thanks for the advice Richard. You don't know of any jobs involving sleeping in a hammock on a warm, sandy, golden beach until you fancy a spot of scuba diving or sailing do you? Every year a large number of job seekers contend for jobs in a variety of authorities departments out which only a small number of individuals make it to the ultimate selection. Inside the light of shrinking job opportunities, obtaining a job in virtually any government team or Consumer Sector Device (PSU) is a subject of pleasure. However, it requires more than effort, education and likely to get a posture in authorities sector. A prospect aspiring to become listed on federal government service require to obtain dedication and determination, as the choice process in many central and state jobs is prolonged and sometimes laborious.